Chrichton's World: Review The White Storm a.k.a. Sao du (2013): Heroic Bloodshed done the right way! 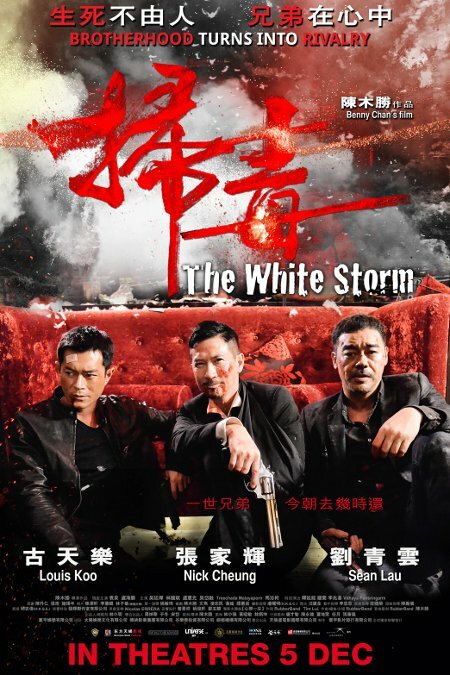 Review The White Storm a.k.a. Sao du (2013): Heroic Bloodshed done the right way! Today is a very joyous occasion as I finally found a modern Heroic Bloodshed title that successfully recreated the awesomeness of those titles but in a more contemporary setting. The White Storm is everything I hoped for and then some. Believe it or not I was very hesitant to watch this film after having endured so many disappointments. And I was incredibly sceptical. 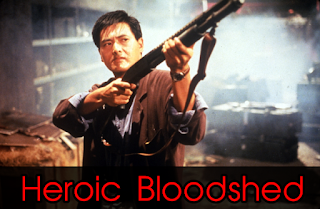 Then I saw comradery between friends very reminiscent of what I had seen in earlier John Woo titles like A Better Tomorrow and Bullet in the Head. Slowly and surely I was starting to believe and The White Storm delivered all I wanted until the very end. Not to say that it's without flaws. Perhaps there is a small pacing issue and maybe it's a little too ambitious for it's own good. Then again the film managed to surprise me at times due to dramatic elements and the dynamics between the main characters, Ma Ho-tin (Sean Lau), So Kin-chow (Louis Koo) and Cheung Tsz-wai (Nick Cheung). These three are the ones that make the film compelling. Of course it's nothing new. Still, many filmmakers today fail to accomplish what Benny Chand has accomplished by keeping things simple. It's the friendship between the characters that make you root for them even when they screw up. Naturally the good cast have a lot to do with this fact as well. They do a real good job of convincing they are brothers. Perhaps it's not entirely fair to say that the way the story plays out is simple. In fact I dare to say that it's quite genius how they managed to reverse roles so effectively. How and why you will have to discover for yourself. Best of all is that every action scene has impact. Because you care about the main cast and whoever they are involved with there is a lot of tension. That and the action is very beautifully choreographed. It's not just action for the sake of it. It's cathartic and satisfying. Especially the finale. Overall The White Storm has restored my faith that there are still filmmakers around who refuse to let Heroic Bloodshed die. And for that I am very grateful. A must watch for sure!